Cloud storage is big business. A recent report from MarketsandMarkets predicts that the market for cloud storage will balloon to more than $65 billion by 2020—that’s a compound annual growth rate of nearly 30 percent since 2015. There are good reasons for this phenomenal growth as well, including the fact that cloud storage allows for convenient file accessibility, which can facilitate individual productivity as well as team productivity through collaboration. 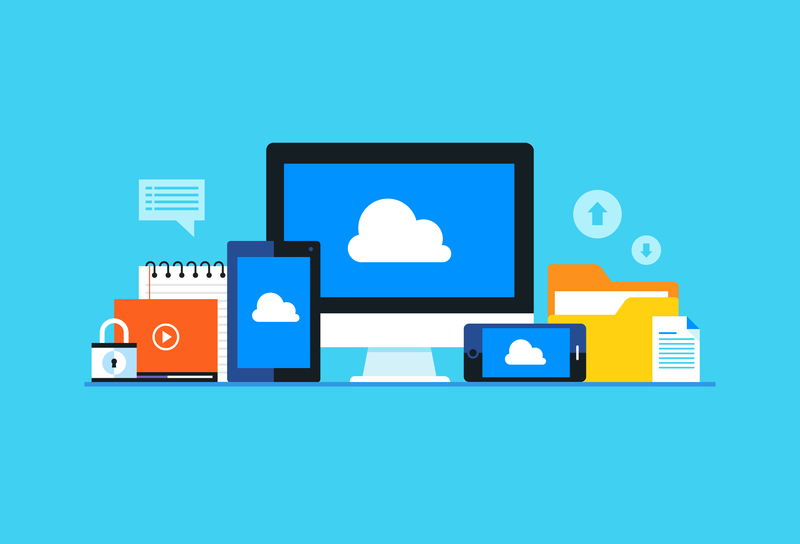 When you use built-in cloud storage through a mobile office suite and productivity platform like WPS Office, you’re able to connect to your cloud wherever you might have it through the platform’s storage integration options. For example, if you use Dropbox as your storage cloud and/or other cloud storage services such as Box, Google Drive, Evernote, and OneDrive, you can easily access and edit your documents directly through these platforms. And if you come up with ideas while on the go or working remotely and need to share them with coworkers, you can simply save files to Dropbox or other cloud storage from WPS on mobile, whether iOS or Android, and your thinking partners can grab them and collaborate with you on the fly. If you have a Windows PC, you can also easily save documents that you create or edit in WPS Office in either your Dropbox or Google Drive account. The way to do this is by using the desktop clients offered by Google and Dropbox. Both services offer a desktop app for Windows that integrates the directories into the Windows File Manager. After you download and install these apps, you can view Dropbox and Google Drive folders in your Windows File Manager. Then you can select Save As for a file you have edited when using WPS Office—or select Save for a file you have created—and choose the folder for those cloud services just as you would do with other folders on your computer. Having these tools at your disposal makes collaborating with your team back in the office a snap. With no need to email files back and forth and everyone working from the same version in the cloud, there’s no reason to worry about people editing the wrong file, or multiple files erroneously circulating. Productivity improves dramatically when your team is able to focus on the projects themselves rather than on worrying about versioning and tools. WPS Office also offers File Roaming, an automatic document backup service that allows users to access their documents through the program at the WPS Cloud Website or from an iOS device. To use WPS File Roaming on your work computer, documents that you create or open in WPS Office will automatically be saved in WPS Cloud. You can access these files to view and edit them when logging into WPS Office on iOS devices, or directly online at the WPS Cloud website. Auto-save feature. After turning on the File Roaming feature, any new and opened documents are automatically saved and uploaded into WPS Cloud. Synchronize documents. Whether you’ve opened files on your PC, mobile device, and/or the WPS Cloud website, your account allows you to see all the documents you’ve opened with different devices once you’ve logged in. View document history. File Roaming also allows you to save every change made to your files and review them in history. All of these features make it easy to pick up your work where you left off when you get back to your home office. To use File Roaming, simply Open the app for WPS Writer, Presentation, or Spreadsheets, and log into your account by clicking on the Sign In button on the top right of the screen. Another option is to visit the Office Space tab, then select File Roaming, and then click Use Now. You can also sign up with your email address or use your social media accounts (Google, Facebook, or Twitter) to log in. Once you’ve logged in, the platform automatically enables the WPS File Roaming function. This means that any files you open or edit will upload automatically to the cloud. You can check those files under the Office tab (select File Roaming) or by going to the WPS Cloud Website. Be advised, however, that if you log out, the documents you open or edit will not be uploaded to cloud. Built-in cloud storage services in platforms like WPS Office give individuals and teams the advantages of ease of use through drag and drop file sharing, as well as convenient accessibility that allows you and your colleagues to retrieve stored files from anywhere using a mobile device on other Internet connection. By creating a more connected workforce where colleagues can access the documents they need to work together wherever they might be, time-consuming file swapping via email is eliminated and productivity can improve. For flexibility and efficiency in workplace collaboration, it’s a smart move to consider leveraging the benefits of built-in cloud storage.